Those of you who follow this blog, or my social media accounts, will know that I don't share too much that is personal on-line. Some people do too much of that - I don't need to check Facebook to see what you had for breakfast, and your tweets about how you met your mates for lunch are just white noise. So, I don't do it. There will be exceptions, of course, and this is one. Given it is the Easter holidays at school, we decided to grab a few days away with our little one. We don't generally go far, so just stuck with Pontins at Prestatyn. Monday to Friday, just a little break. Tuesday afternoon, I get the telephone call I never wanted to get. It was my sister, Jenny: she had picked mum up from shopping in town and took her home, and they had found my dad dead at the foot of their stairs. He had fallen while attempting to carry a folding bookshelf back upstairs. Obviously I dashed up there immediately - they live in Wigan - and spent the evening with Mum and Jenny, and the police! Any unexpected death needs investigating, apparently. His body was collected eventually, and will be dealt with by the Coroner. I had to return to Wales, but have been in constant contact with Mum and Jenny ever since, Obviously they are both distraught. Dad was John O'Donnell. 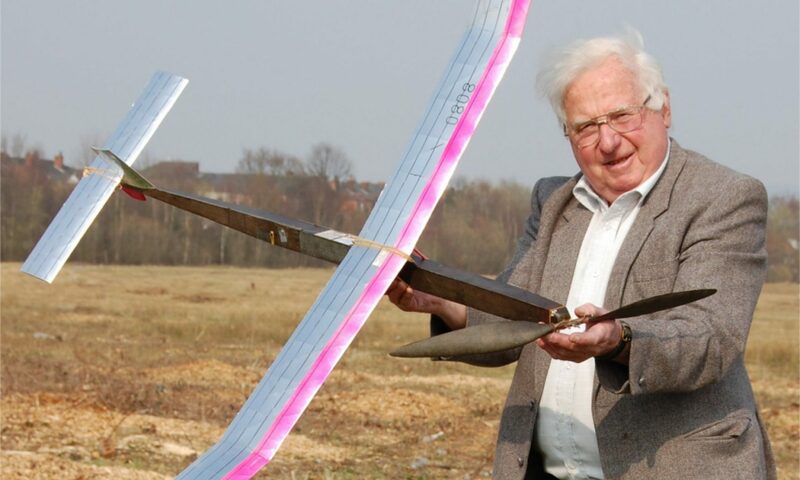 He was a world-renowned aeromodeller, having been involved in the hobby for over 70 years, and having held many records. He contributed to the model press regularly and frequently with articles and model plans, He was a keen photographer, and ran a professional photography business doing commercial and wedding photography for a time. As a mathematician he worked in the aeronautical and chemical industries, before finding a home as a lecturer (in statistics.) He enjoyed serious Science Fiction, and was becoming recognised as intensely knowledgeable on the subject. He was intensely organised, and pretty much everything he did is recorded and filed away neatly. We intend to publish as much as we can. We have created a memorial site for him at jod.org.uk - please feel free to visit.